Our loose mineral foundation gives you all the flawless coverage you want with a naturally luminous finish and no-makeup look and feel that lasts up to eight hours. The creamy minerals diminish the appearance of imperfections without drying out skin and promote clearer, healthier-looking skin. Our amazingly lightweight, loose-powder foundation provides rich, creamy coverage and promotes clearer, healthier looking skin. 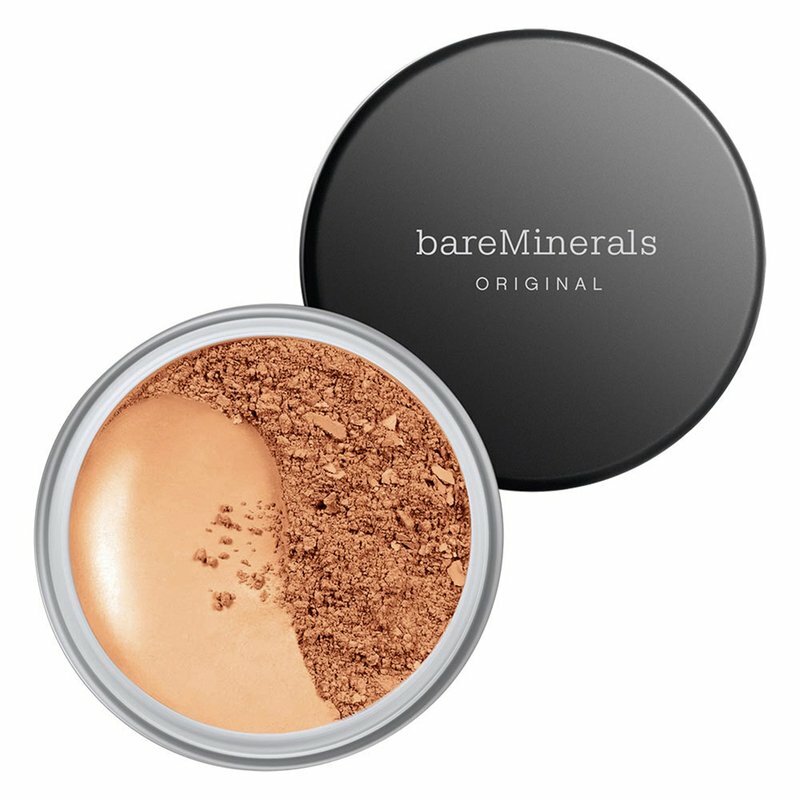 A bareMinerals all-time fan favorite, it's made with just five mineral ingredients and provides beautiful, buildable coverage with a naturally luminous finish. This award-winning mineral foundation protects your skin with broad spectrum SPF 15 and diminishes the appearance of imperfections without drying skin out, leaving you with a flawless finish that lasts up to eight hours. To get the most out of this fabulous foundation with SPF, pair it with the Beautiful Finish Brush to build sheer-to-full coverage. The luxuriously soft, patent-pending brush delivers fast, even, controlled coverage that can reduce application time, and its skirted silhouette was specially designed to fit perfectly into our mineral foundation lids to help capture (and contain) every mineral.